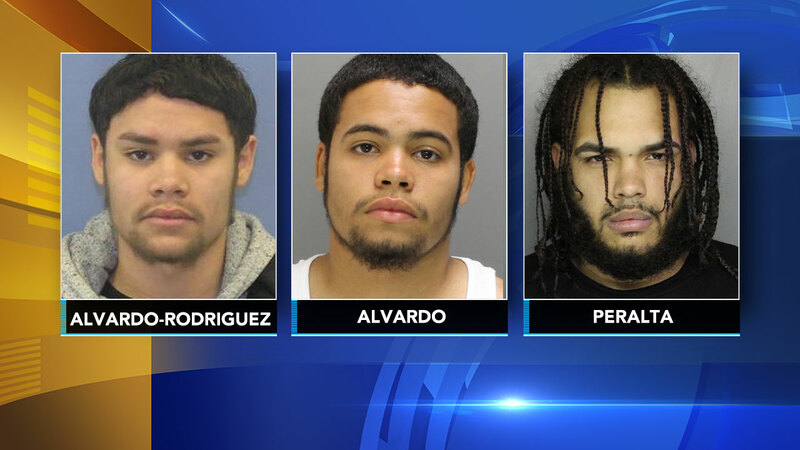 BENSALEM Pa. (WPVI) -- Three men have been arrested for a stabbing in Bensalem, and police say two of the suspects are the victim's own stepsons. Police were called to the Berkeley Trace Apartments on Bensalem Boulevard around 8:35 p.m. Tuesday. There they found the victim with multiple stab wounds. He was taken to the hospital in critical condition. On Friday, police announced the arrests of the three suspects being sought in this case. The victim's stepsons, Alberto Alvarado-Rodriguez, 21, and Christopher Alvarado, 20, are charged with attempted homicide. The third suspect is identified as 26-year-old Kelvin Peralta. He is also charged with attempted homicide. Police did not disclose a possible motive for the stabbing. All three suspects are being held on $10 million bail.